There is an article at gamasutra about Flash vs. Unity for the future of web 3d games. But it really is the future of true, hardware accelerated gaming, applications and interactives, not just 3d but massive, immersive 2d+3d works/projects on the web and available via browser. Adobe, or Macromedia previously, owned 3d games with Director (8.5 with Shockwave3d) for a time, but that was really before mainstream was ready (2000-2001-ish). There was a lack of computers with dedicated video cards and GPUs. Today, even the bottom line computers have a decent video card. Also, the surge in mobile and the need for native level access to graphics hardware has spawned this new battle (Thanks Apple!). Unity has the pipeline, 3d and has been doing that well since 2005/6. 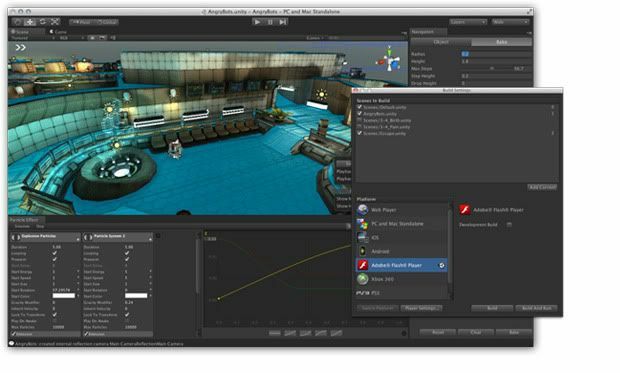 They emerged from Director and even have some members of the Director team working at Unity. Adobe is just getting back into this, they dropped Director (or left it wavering) and are now going to attack on the Flash level not just against Unity but to hardware accelerate it for mobile and better video playback hopefully (they currently hardware accelerate scaled video to full screen). Like the Silverlight vs. Flash product competition, Unity vs. 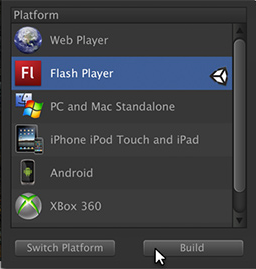 Flash is actually a good thing for developers and both platforms. With Torque3d wavering, html5 and WebGL more than a year out (and WebGL maybe 2-3) for broad mainstream support (I am looking at you IE), this is the time for Flash to move on this and Unity to keep going they way they have. 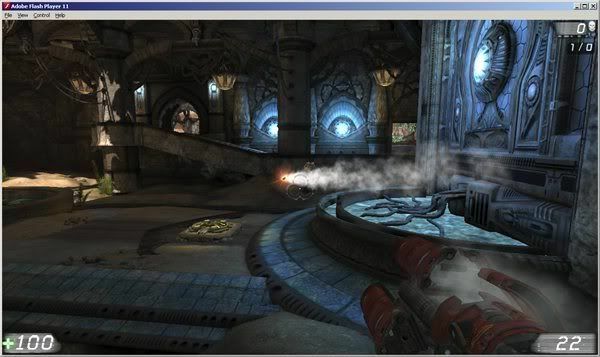 Hardware acceleration makes these plugins relevant and ahead of the current standards emerging in html5 and WebGL. I love using both tools and they have come a long way since painful Director lingo/w3d/plugin hell for hardware accelerated gaming, apps and interactives. The gaming industry and web are merging, these two products should get a good portion of that projected $87-billion total game market’s annual revenue in five years, as investment advisor Digi-Capital predicts. It is also a great time to be a developer having these companies vie for developer support. It is exciting that hardware acceleration, 3d games, and widening game industry are all emerging and will be a big thing for the next few years at a minimum. It is finally time to kick it up a notch. Game on! Apple’s official statement on this topic. Well good news, after the massive frenzy of 3.3.1 in the App Store Terms of Service, Apple has been wise to loosen restrictions on the AppStore for native apps that use scripting such as Mono, Actionscript, Lua and others as long as it doesn’t download any code (for security reasons). The apps have to be AOT Ahead of Time compiled which Unity, MonoTouch and the AIR iPhone Packager for Flash apps all use or the script has to be downloaded with the binary that was approved or an update (Lua scripting for instance). This is a huge change in stance for Apple and basically allows Adobe Flash based AIR apps to run on the device natively again. I think this is a very wise decision by Apple to let the market decide on what is a quality app while respecting Apple’s concerns about downloading and running code that might create security concerns (non compiled script outside the web sandbox). 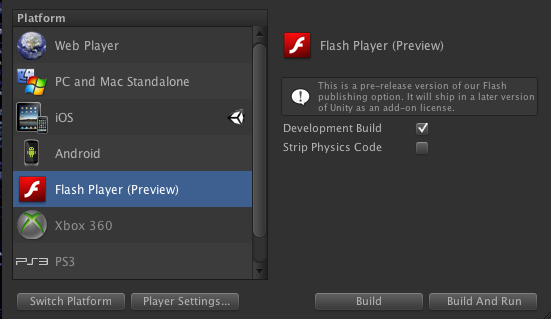 The only bummer is that we won’t see a C++ Unity version which was plan b. But the benefits are really great for all types of developers as long as it is safe and with Apple’s latest update, quality. Developers using Unity, MonoTouch, Adobe Flash AIR Packager, Lua scripters etc are now all safe as long as it is AOT compiled and scripts it uses are downloaded with the binary and not downloaded later (only content and data can be downloaded unless it is in an approved app update). However Apple also tightened quality control so they will be rejecting bad or duplicate apps, so at the same time this has made it harder to get apps approved if there is questionable quality or too many of one type of app. It is good on the surface but also I believe the store should be an open market where the best app wins, crap will naturally filter out. This is probably a stop-gap for all the apps that will be submitted with AIR or other less complex platforms because more novice users will be submitting them. So this is good for skilled developers on any platform making quality and original content. But it could cause some problems.